Browse the questions below for answers to some of the most common questions pertaining to cleanroom design, construction and classification. 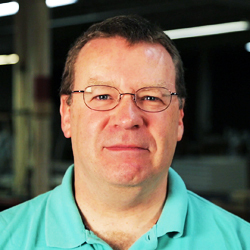 Each question links to a dedicated page with a video response from Tim Loughran, our cleanroom design expert. A written transcript to the video answer is also available on each page. What are the most important factors in determining which cleanroom classification is needed? Is there a problem with building a higher classification cleanroom than needed? How does the cleanroom classification one chooses affect cost? What are the determining factors involved in choosing the classification of a cleanroom? How do temperature and humidity control affect cleanroom operation costs? Do temperature and humidity requirements affect the way a cleanroom is designed? How do you properly insulate a plenum cap? What factors influence your decision to recommend modular vs traditional construction? What are the advantages of modular construction when leasing or renting a building? Other than financial, what are some additional advantages of modular cleanroom construction? What is the difference between the terms “cleanroom” (or “clean room”) and “controlled environment”? How do you determine which PortaFab cleanroom system to use for a specific application? What is the difference between a single pass and a recirculating cleanroom? Does the decision to choose a single pass or recirculating cleanroom have an impact on the construction and design cost? What are the different air flow systems used in a cleanroom design? What determines the type of wall surface used to create a cleanroom? What determines the type of substrate to be used in the cleanroom wall panels? What factors should you consider when evaluating cleanroom doors? What factors should you consider when evaluating cleanroom ceiling options? What factors should you consider when evaluating cleanroom windows?